As we move into autumn, no doubt businesses across the country are hard at work preparing for the build-up to Christmas and all the retailing challenges that arrive alongside it. But before you start adding holly and snowflakes to your website banners, remember that there is another major shopping holiday approaching that you should be preparing for. On the Monday following the American holiday of Thanksgiving, retailers slash their prices and run promotions to boost online sales. Although it originally started in the United States in addition to Black Friday, which takes place three days earlier, Cyber Monday has grown and expanded to reach across the world, including the UK. Why get on board with Cyber Monday? According to IMRG (Interactive Media in Retail Group) it is estimated that shoppers spent approximately £720 million on Cyber Monday last year – if that doesn’t grab your attention and persuade you to get involved, then we’re not sure what else to tell you. A new report from the Office for National Statistics found that more and more people are turning to the internet for the majority of their shopping. The report showed that the number of men purchasing online rose from 57% to 77% between 2008 and 2015, and the number of women increased from 49% to 75% in the same time period. Even more interestingly, the ONS report revealed that in 2014, the month with the highest level of online retail sales as a proportion of all retailing was November with 14%, compared to December which had 13%. This is no doubt due to the increased purchasing that takes place prior to Christmas, and retailers should capitalise on the holiday rush by getting on board with Cyber Monday. For businesses of any kind, whether you specialise in home furnishings or clothes, Cyber Monday can be a tremendous opportunity to increase sales. Whether this is your first Cyber Monday or you’re looking to improve on last year, follow our top five tips to attract visitors and maximise your sales. 1) Can you handle the traffic? This is more frustrating from a customer’s point of view, but when your website isn’t able to handle the traffic, your visitors will backtrack and look elsewhere. Not only may they not make a purchase on Cyber Monday, but a slow or non-existent website may cause people to browse away from your store and never return. Consumers don’t forget a bad user experience! Look into the possibility of bigger and better servers or a more comprehensive cloud storage solution that will be able to handle the increased traffic. Although the increased investment may not seem worth it at the time, the possibility of lost revenue due to a slow website is a nightmare for retailers. According to a research report from Criteo in June 2015, 34% of purchases made worldwide and nearly half made in the UK were conducted on a mobile phone or a tablet device. The report also stated that the popularity of mobile phones for purchases is expected to grow even further to 40% across the world by the end of 2015. Customers want to have more flexibility when it comes to their shopping, in other words, they want to be able to spend their money on their own terms. Mobile shopping allows them to shop on the go. 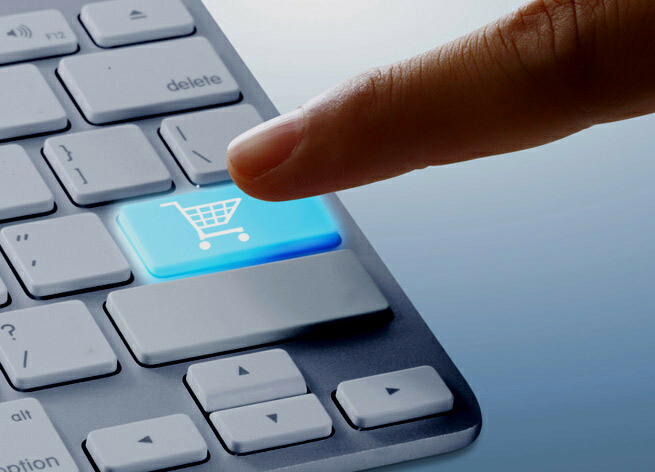 They can access e-commerce websites directly from their social media, and many are able to compare prices easily. So don’t underestimate the value of ensuring that your website is well-designed, fast and optimised for easy mobile purchases. If you truly want to make the most out of Cyber Monday, you’re going to have to create a lot of hype in the build up to the big day. But it’s all about creating the perfect balance. If you start too early then the excitement around your discounts can tail off without any impact. Start promoting your discounts roughly a week before Cyber Monday hits. Post on social media, keep your blog updated and just generally shout about it as much as possible. When it comes to planning, you should also know exactly what discounts you are going to be offering, on which products, and what any of your other promotions will be. Give your buyers a strict set of deadlines and make sure you stick to them. Having a time limit on what you offer will create a sense of urgency around your business, and shoppers won’t be able to resist the exclusivity of a limited-time-only offer. With a day like Cyber Monday on the horizon, a spike in deliveries is part of the package. No matter how many orders you receive, your customers will still be expecting their chosen products to be delivered in a timely manner. One of the first steps online retailers should take in the run up to a busy period like Cyber Monday is to ensure that their new delivery information is clearly stated on the website for all to see. If you anticipate a delay in orders being shipped out, if you are offering a larger variety of delivery options, or if you decide to include free delivery over a certain amount or free delivery altogether, make your changes visible. Having a specific strategy in place will help you to manage your orders as they start to come in. Cyber Monday is guaranteed to be a busy day for domestic and international couriers, so efficiency is key if you are to maintain high levels of customer satisfaction. A firm favourite amongst many retailers is to offer free two-day shipping on items. Not only can this drive more traffic to your website, it also gives you a little more leeway when it comes to packing up and shipping out people’s orders, whilst also offering a speedy and convenient service. Parcel delivery can be a huge expense for retailers, especially if you’re under-prepared. In order to ready yourself for Cyber Monday, don’t forget to do a comparison of delivery prices to give yourself the best head start. It’s a win-win situation; you can offer a dedicated courier service to your customers whilst simultaneously saving yourself money in the long run. Every online retailer will know that returns are an unfortunate but necessary part of the transaction. While you may have a standard returns procedure in place for the rest of the year, it might be wise to consider a few additional policies as we approach the busier seasons. Some stores will extend their returns period or offer a more liberal exchange policy following days such as Cyber Monday. However, before you dive straight into a brand new returns policy, consider your options to discover what is best for your business. Remember that although consumers will appreciate that this is a busy time for retailers, they’re not going to be so understanding that they say; “Oh, don’t worry about me. Just deliver my parcel when you get a chance”. They still expect their goods to be delivered in timely fashion! Also, consider what would make your customers return an order and take steps to try and reduce this. While some returns will be inevitable, measures such as increased customer support, optimising product descriptions and images, and adequate staffing to avoid delays or mistakes are essential. There is little doubt that Cyber Monday is going to be a huge day for the world of online shopping. With more people than ever expected to make Christmas purchases, retailers should be prepared for a busy few days both before and after the big day. As we’ve outlined above, preparation is key if businesses are to avoid being overwhelmed by the amount of traffic that they receive. But more than anything, retailers should focus on maintaining a high level of customer service. Although things may get a little hectic, you want to ensure your customers are happy with how you handle their order. Keep on top of things throughout the day and prioritise shipping out orders on time. A smooth handling of the Cyber Monday rush could keep loyal customers coming back time after time.